Join the community. Learn. Have fun. Get fit. If you're interested in joining or have always wanted to try CrossFit come down to CFV and try a class on us! Experience CrossFit and become a part of our family. Click the button above to book a class time. CFV free one-on-one consultation. Every one is unique in their athletic ability and has individual goals they want to accomplish through effective training and proper nutrition. We will be with you through every step of that journey, providing you with instruction catered directly to you. Start by meeting with a coach to discuss your new plan towards greatness. Click on the link above and fill out the contact form with a time that is convenient for you! CrossFit Foundations. At CFV we want your introduction to CrossFit to be as smooth as possible and for you to feel comfortable and confident when you attend that first regular class. 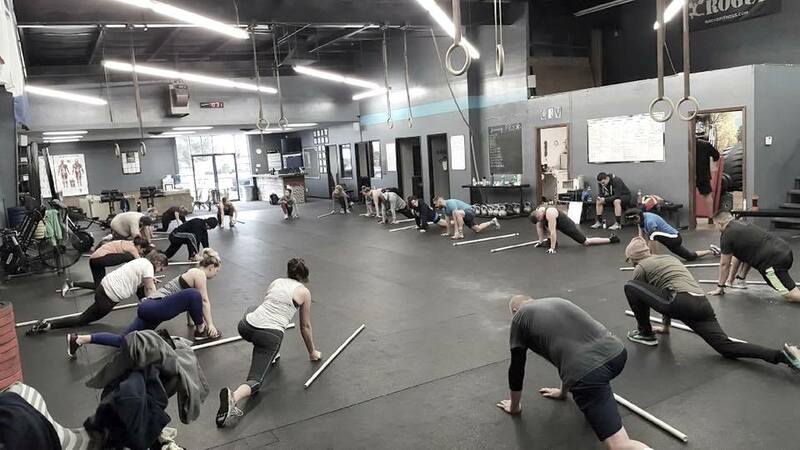 Our foundations program with an emphasis in safety and progressive preparation, consist of five or more sessions where a certified coach will be providing you with instruction on basic movement techniques, nutrition and an understanding of CrossFit methodology, terminology and workouts. You will be coached through a workout at the end of each session! Click the link above to purchase a foundations package, this price will be applied towards your first month of membership. Once you have done so, we will schedule a time to start! Our coaches are flexible and our facility is open throughout the day, so do not stress about finding time. CrossFit Visalia CrossFit or CrossFit Unloaded Membership. We want you to become apart of our family and participate in the best functional fitness program in the Central Valley consisting of; gymnastics, weightlifting, and mono-structural movements that are constantly varied and performed at high-intensity (CrossFit). The Team here at CFV will challenge you every day to become a better you, and to obtain a level of health, fitness and happiness you never thought was possible. If you're already a part of the CrossFit community and visiting from out of town, drop in at CFV, get your WOD on, enjoy a FitAid or coffee and free wifi in our upstairs loft. After, you can head out with a T-shirt and an lifelong open invitation to come hang out with us again. If you're in town for multiple days, don't worry we'll work something out so you can get your CrossFit fix!